Today we will be creating simple supersaw patch. 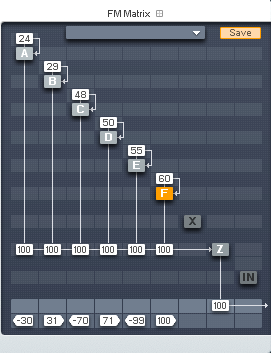 Supersaw sound is quite easy to create in FM8 since we can use up to six operators to give it that fat, warm sound. We will also use some effects from the FM8 effects section to further spice the sound. First set all operators to saw wave. We shall use operator in pairs and detune them relatively to each other. Operators A and B will be one octave lower than the frequency of MIDI note played, operators C and D will be set to the same frequency as the midi note and operator E and F will be one octave higher. Enable operator F, set it’s ratio to 2 and route it to the filter module Z. 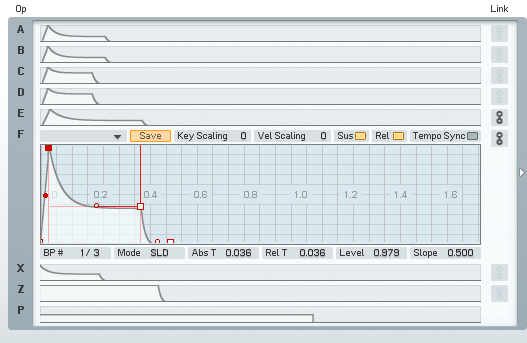 Set filter to parallel, mix to both outputs, level to 100. Open the cutoff to it’s fullest amount. In the master section of the FM8 set the unison and polyphony voices to 4. 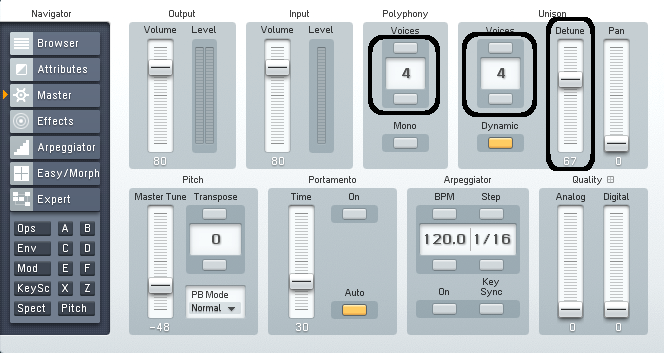 This means FM8 will use four voices for each single key pressed which will give them nice fat sound. We should also detune these voices with detune slider found in the unison window of the FM8 master section. Set it to 67. Maybe this is a bit extreme setting but let’s keep it for now so we will be able to hear this effect more clearly. 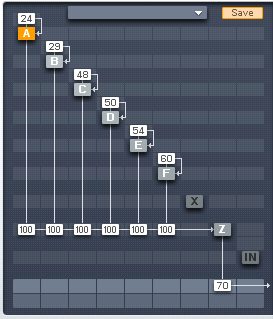 I have also applied some side chain compression to the sound to give it that typical pulsating effect. Now let’s link all the envelopes of the operators. Each of two paired operators should have the same envelope shape. For now let’s set the same envelope for all the operators and later on we will adjust them separately for each pair. Go to the envelope section of the FM8 and enable link button for all the envelopes. Set the envelope like in the picture below. As you can see all of the envelopes now share the same shape. So operators E and F will be both set to twice the fundamental frequency of our incoming MIDI note. We have already set operator F ratio to 2. We also need to add some bite to it. We can do that by raising the self modulation amount of operator F to around 60. Enable operator E and set it’s ratio to 2. Raise the self modulation of operator E to 55. Let’s detune operator E and F like in the picture below. As you can see I have detuned both operator for the same amount, but in opposite ways. Enable operators C and D.
Set it’s ratios to 1 and detune them like this. Enable operator A and B and set it like this. Also set selfmodulation values for each operator pair to similar values. I have set it to 48 and 50 for operators C and D and 24 and 29 for A and B. Now link the envelope for A and B and set them to desired shape. Since operators A and B represent the lowest frequencies in the sound I have set envelope sustain to the lowest level of all three operators pairs. Unlink and again link envelopes C and D and then also repeat the procedure for E and F.
Be sure to soften the attacks a bit in order to avoid any clicks in the beginning of the sound. We could also add some stereo spread. Set pan for each operator pair in opposite direction by the same amount. The first two operators A and B should be set to lowest pan value and the last two (E and F) to highest. To get even more bite, go to the effect section and enable shelving EQ. Set it to something like this so we pronounce the high frequency content of our sound. Also add chorus/delay effect to your taste for some additional stereo spread. Also for some additional sweeping effect let’s add peak EQ. Create small peak and automate its movement in your daw. I recommend using the limiter on your audio track for this effect in order to prevent sound from clipping since this sweeping can create some loud volume peaks. In the master section of the FM8 you can set analog parameter to 48. This will introduce some random movement in the pitch of the sound which emulates the unstable tuning of the analogue oscillators. In this case this results in richer, bigger sound. Almost done. Now we could also set filter envelope and lower the cutoff value to get some bite in the beginning of the sound. 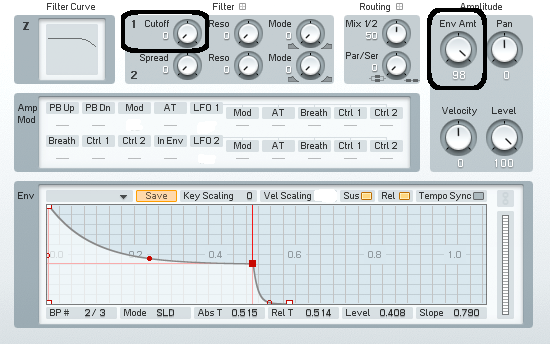 Also by lowering and shortening the filter envelope you can get some more plucked type of sounds. 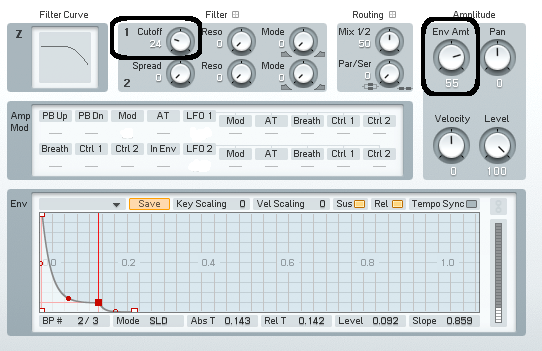 I have also used arpeggiator in this example and then slowly automated the filter cutoff parameter. Here you go, this is basic supersaw sound. Hope you have enjoyed this tutorial. If you have any question or comments feel free to leave them below.